The 5522MD & 5523MD are low current, high volume, hazardous location signals designed for supervised circuits, such as with fire alarm panels. The 5522MD produces a steady horn tone. 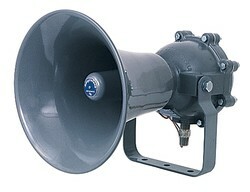 The 5523MD produces a siren tone.